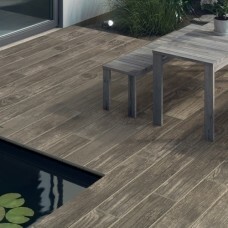 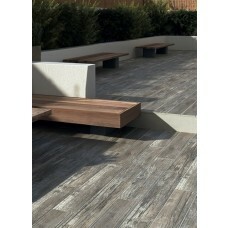 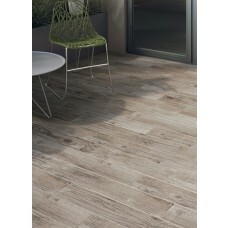 Available in either Birch or Oak shades, this beautiful lightweight long aspect paving looks just like traditional timber but is in fact made out of porcelain. 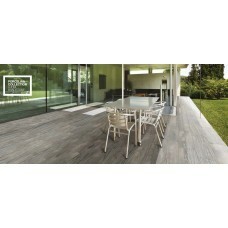 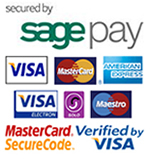 As such, it offers all the natural beauty of real wood without any of the associated maintenance issues. 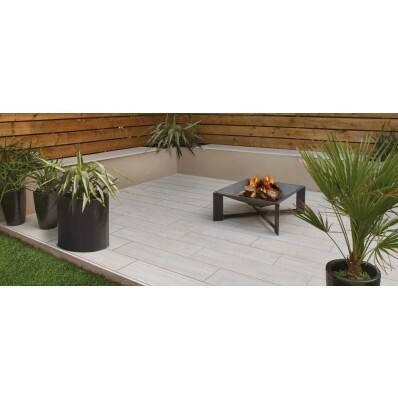 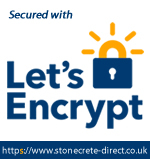 Fired at up to 1400 degrees C, this paving boast an incredible inherent strength and exceptional durability. 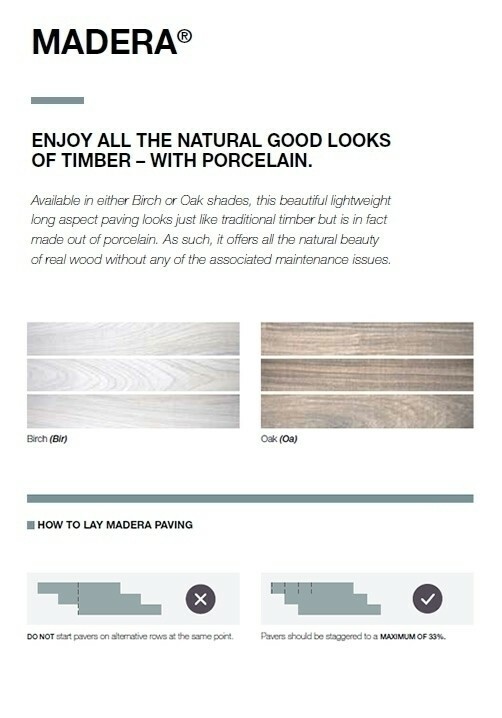 Madera paving is virtually maintenance free and it will retain its stunning good looks throughout the years to come, looking as fabulous as the first day it was installed.